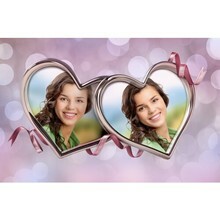 Is there anything better for two loving hearts than a double heart photo frame? Sure, there is! But you will never go too far if you use this template to remind your boo about your feelings in a memorable way. Don’t have any photos of you two together? 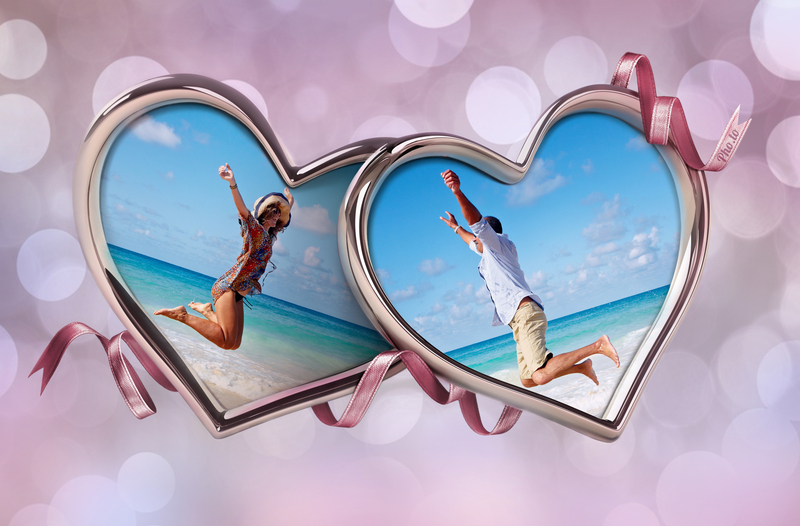 No worries, as you can always combine your best shots into one with the help of an online double frame or collage. And we highly recommend that you try this two-heart frame before you jump into applying any other, since it offers an ideal balance of elegance, simplicity and stardust. 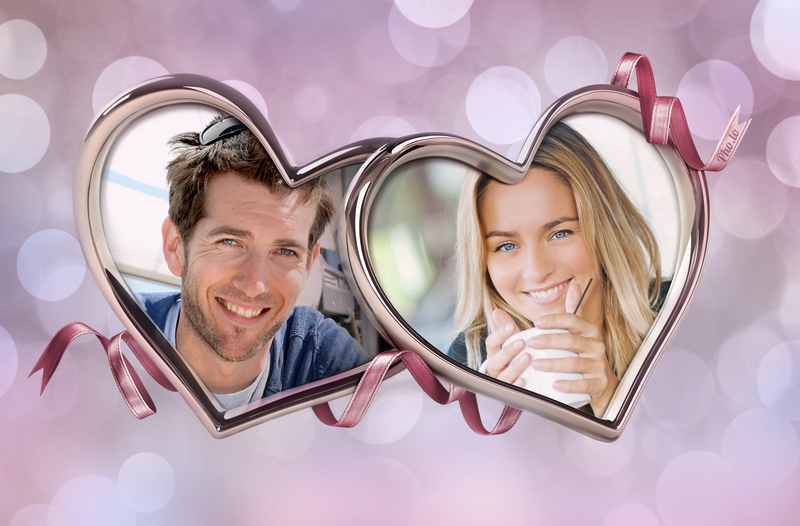 You may say that there is nothing special in putting portraits into two linked heart-shaped frames with circular-shaped light bursts of pink bokeh all around. However the resulting heart collage is so full of tenderness and mystique, that it makes it a perfect choice for you, if you want to proclaim your love to your beloved. Especially if you can’t do it face-to-face or use your voice right now. Just try it and see for yourself. 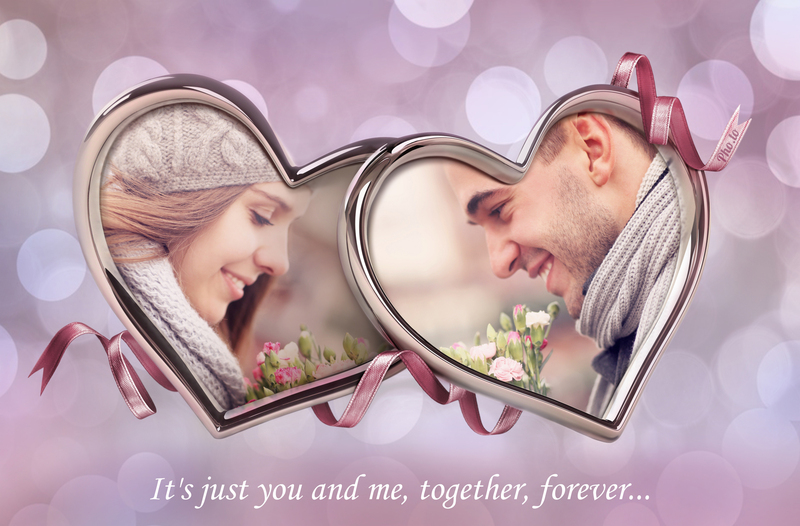 Moreover this template has everything it takes to become a perfect Valentine card or invitation. At least if we were planning an engagement or tie-the-knot party we would definitely give it a go. Will you? And as a matter of fact we have two more double heart frames. The first one is a tea-for-two-and-two-for-tea style. The second will link your portraits in a more traditional way - with white lilacs and lilies of the valley all around. They may come in handy during next St. Valentine Day celebrations.